The global aviation training provider, BAA Training, in cooperation with Ukraine International Airlines is inviting Ukrainian pilots to attend pilot assessment procedures. Applicants will be assessed and evaluated using standard pilot assessment methods and tests, and also evaluated based on the airline’s internal criteria. “Studies and BAA Training’s experience working with selection model for both pilot studies and job positions, has proven that certain set of skills, motivation, thinking style, and ability to work under pressure are the components of the professional pilot. These requirements are crucial for aviation’s safety and efficiency, thus more and more airlines are adapting these standards in its daily operations, Ukraine International Airline being amongst them”, comments Ms. Egle Vaitkeviciute, the CEO at BAA Training. The selection procedure will be divided into three steps and include Initial assessment (Profile XT test, Compass Advanced test, English knowledge assessment, structured interview), Skills assessment in the Flight Navigation Procedures Trainer and Type Rating training course. The process will be finalized by Ukraine International Airlines, which will offer job contracts for the best candidates based on the student performance during the assessment procedures and type rating training course. BAA Training is a provider of European standard aviation training, working with full range of aviation training including fixed and rotary wing Ab Initio pilot training, type rating, ground handling, cabin crew, and UAV/UAS training. 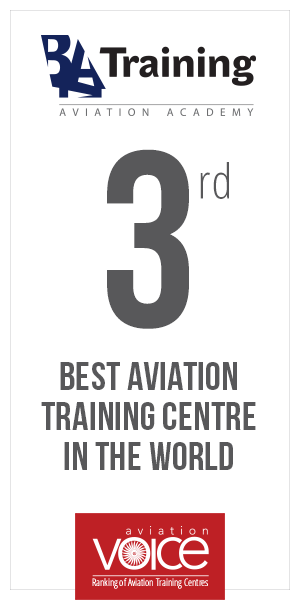 BAA Training is a member of Avia Solutions Group family – a Warsaw Stock Exchange-listed aviation holding engaged in MRO services & supply chain, pilot & crew training, aviation staff leasing, ground handling & aircraft fuelling, private jet charter flights, RPAS operations as well as airport management businesses.